I am in the throws of deadlines–therefor, this post is late, But I’m glad to be able to share new arts with you! 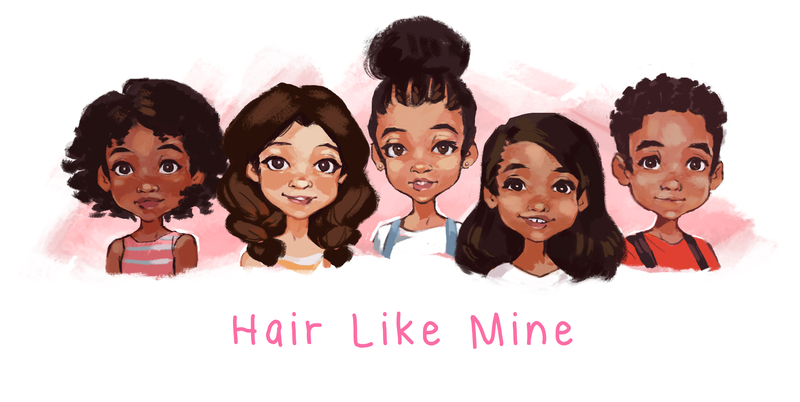 Introducing– Portrait speed paints of some of the kids from Hair Like Mine, a children’s book I illustrated for LaTashia Perry, coming soon! To tell you a bit about the book, it’s about a little girl with big curly hair, in search of people with hair like hers– instead she realizes that everyone is unique in their own way 😀 The book is in the process of being published! Not much else to say, considering my mind is frazzled trying to close out my remaining commissions for the month, but I shall be resuming progress on 321 Comic’s Commission, which I’ll have a nice update for next Monday. well, it’s back to work for me! Till next time, Enjoy!